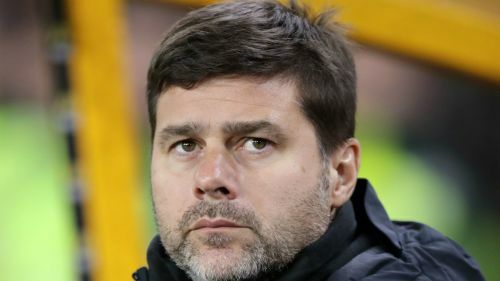 Mauricio Pochettino insisted he feels happy and valued at Tottenham amid speculation the Spurs manager could replace Jose Mourinho at Manchester United. Pochettino has reportedly emerged as United's number one target should Mourinho leave Old Trafford, though the Portuguese's agent Jorge Mendes claimed the Red Devils are "very happy" with his client. United are already 18 points off the pace in the Premier League following four matches without a victory, while Mourinho's men are 10 points adrift of third-placed Tottenham. Pochettino, however, remains committed to Tottenham, who signed the Argentine boss to a five-year contract in May. "The most important thing is I feel so happy here. I think Tottenham has given me the value," Pochettino said. "I don't know the answer [to whether speculation over his future will continue as Spurs struggle to compete for the title] but I feel happy here in Tottenham because I feel the recognition for our job. "When [Spurs chairman] Daniel Levy extended our contract for five years, it's because he believed in that moment and period that we're the best people to manage this boat, this club. That is a massive recognition for us. "I don't need to listen to what goes around and when people say 'we're nice guys and maybe we have some ideas about football'. The most important thing is how the people make you feel in your home." “The focus for us is to try to win the three points against Leicester." Meanwhile, Pochettino said money is not everything as he compared Tottenham's budget to Saturday's opponents Leicester City, with Spurs eight points behind leaders Manchester City. "When you compare the investment or budget, we are in the same position as Everton, West Ham or Leicester," Pochettino told reporters. "Of course we are so far from the big sides like City or United. But in points we are closer to them than the others. In performance last season the same; we are closer in points than our budget says. "It is not easy to improve only with investment. You need time: to invest, to create a philosophy, a methodology. I think what Tottenham have is a clear idea. Then you have to try to keep your best players to be competitive. Sometimes money is going to help but it is not the most important thing. And in the end everyone invests, still only one team can win." Tottenham v Manchester United: Should Solskjaer or Pochettino get Old Trafford top job?